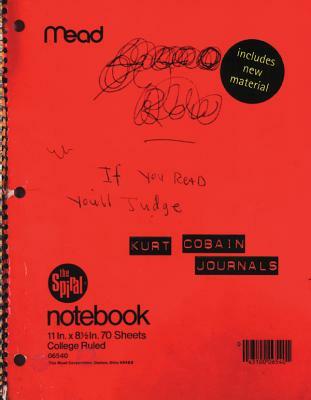 The lyrics notebook and personal journals of Kurt Cobain, iconic singer of the band Nirvana. Kurt Cobain filled dozens of notebooks with lyrics, drawings, and writings about his plans for Nirvana and his thoughts about fame, the state of music, and the people who bought and sold him and his music. His journals reveal an artist who loved music, who knew the history of rock, and who was determined to define his place in that history. Here is a mesmerizing, incomparable portrait of the most influential musician of his time. Kurt Cobain was the leader of the groundbreaking Seattle rock band Nirvana. He died in 1994.